El Nido is definitely one of the best places to visit in Palawan region in the Philippines. diversity of fish. Sting Rays can also be seen from time to time. El Nido is located in the islands of Palawan, bordered by Linapacan Strait , Sulu Sea and South China Sea. It is composed of 45 islands and islets each worth visiting for its formation and rich marine life. Aside from appreciating the beauty of the scenery here two of the most important activity in El Nido are diving, island hopping and snorkelling. But of course not to forget swimming and sunbathing. The town of El Nido is not that big you can also explore this small fishing town by walking and probably buy your souvenirs in the market. You can also enjoy eating out in El Nido for there are quite some great restaurants to try. You can also hire a van or tricycle to bring you to some places nearby El Nido; cave tours or mangrove tours. The two major activities tourist do in El Nido are snorkelling and diving. Although, there more beautiful diving spots in Port Barton or Coron Palawan, the spectacular beauty of El Nido Palawan is beyond compare. There are normally tour operators specialising in organizing tours to El Nido but some hotels do it for you. You can also negotiate with some boatmen for a much cheaper organized trip to El Nido’s islands. You can book them in advance before coming or make your reservation upon arrival. The organized tours normally includes a picnic lunch in the island, the use of boat and a guide. Prices vary. Some are cheaper than the other. Be sure to ask well and confirm the inclusion of your tour before buying. The tours proposed to tourists are normally organized into three major tours: Tour A, Tour B and Tour C.
Includes Big and Small Lagoon, Shimizu Island and Commando Beach. This is the closest tour packages. You can even do this trip for a half day tour. This is normally the cheapest tour among the three. The tour includes the famous Snake Island, Lagen Island, Inabuyatan Island and Cathedral Cave. This is ideally done on the second day. This could roughly cost about 800 pesos per person. The last tour is considered the farthest and the best among the three. It includes Matinloc Island, Tapiutan Island and the famous Secret Beach. Sea turtle abound the area, ask your boatmen when is the best time to see them. There are two seasons in El Nido: wet and dry. It is generally dry, from December to May, and wet, from June to November. April and May are typically the driest months, while the heaviest rainfall occurs around August. 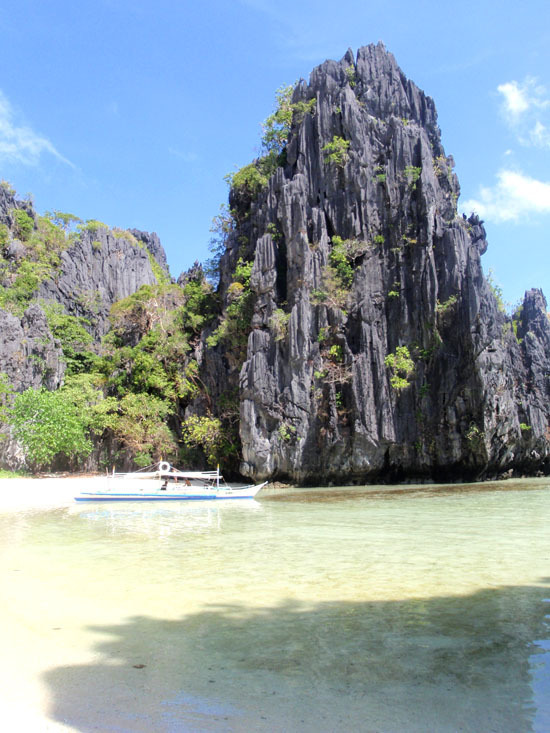 It is recommended to visit El Nido during the dry months of April and May. December is considered a peak season in El Nido. Visit El Nido in April and May? That’s poor advice! It’s so hot then, it’s almost unbearable… February/March is so much nicer. If you don’t like the sun why do you go to Philippines? I want heat, I’ll go there in April!